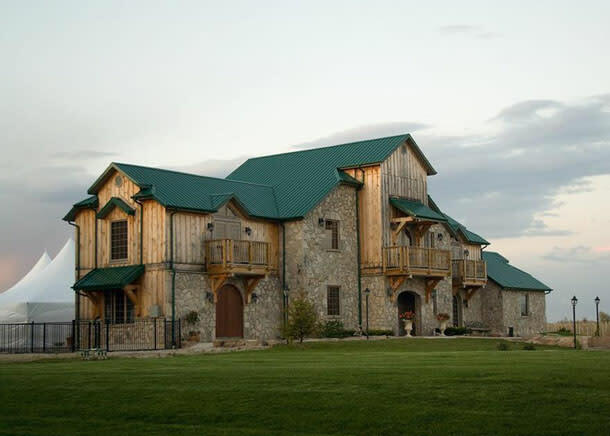 Start your weekend early with a lakefront visit and an afternoon wine tour at Sprucewood Shores Estate Winery in Harrow. Enjoy a gourmet picnic basket while sampling the ambiance the glorious surroundings of wine country. 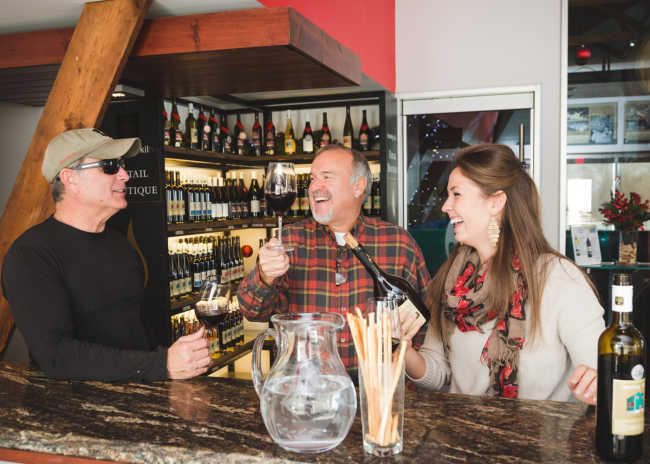 Then, head toward the lake to the historic hamlet of Oxley, where you’ll find a perfect patio perch at Oxley Estate Winery where you can enjoy dinner, weather permitting of course. Follow the Lake Erie shoreline east toward Kingsville and spend the night at one of the town’s charming Bed and Breakfasts, such as Inn 31 or The Woodbridge House. After breakfast, explore the shops of Kingsville, and if you’re there on a Saturday between May and October, be sure to stop by the farmer’s market to stock up on local produce. An exploration of Lake Erie’s shoreline wouldn’t be complete without a stop at Point Pelee National Park. While you’re there, take the free Shuttle to the Tip, which runs from April through October and hike to the most southern tip of mainland Canada! Follow the shoreline east toward Port Stanley, but leave time for a pit stop for some fresh Lake Erie yellow perch at Molly and OJ’s in the rustic lakeside town of Erieau. 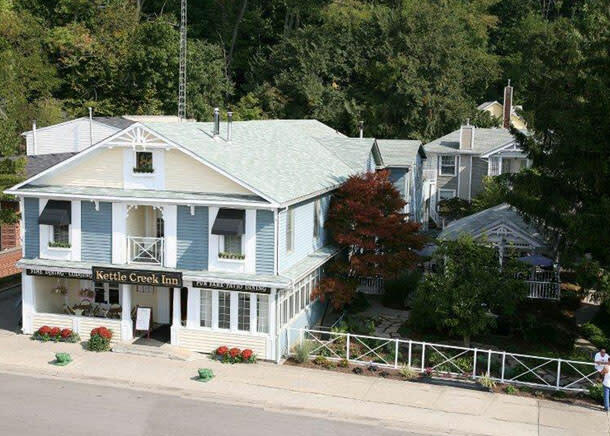 Spend the evening at one of Port Stanley’s lovely inns, such as Kettle Creek Inn, Inn on the Harbour or Telegraph House. The next morning, continue east to Long Point, where the folks at Long Point Eco-Adventures can whisk you away on a Zodiac boat tour to the tip of Long Point (weather permitting). The three-hour tour will introduce you to the rich history that surrounds this legendary landscape that resembles a Caribbean island. Then, make your way to a one of Long Point Eco-Adventures Wilderness Suites and settle in for some luxury glamping. Overlooking Long Point Bay, the suites provide the comforts of home with views, sounds and sensations that are out of this world. The next morning, explore the lakeside town of Port Dover, after fueling up with breakfast at The Crepe House or the Urban Parisienne, Port Dover’s first authentic French bakery.